Of all the retro effects to hit the shops in recent years, perhaps the most authentic and coolest is Tremolo. Instantly calling up the spirit of the '60s, Tremolo was the first effect to appear on a Marshall amp in the early 1960s. 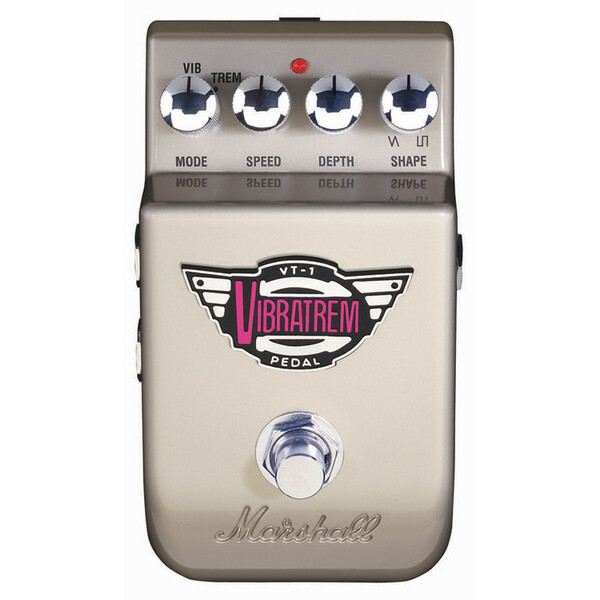 Marshall have now updated the Tremolo effect in the form of the Vibratrem. By using split phase modulation, a truly awesome stereo sound field can be created by connecting the VT-1 up to two amplifiers. 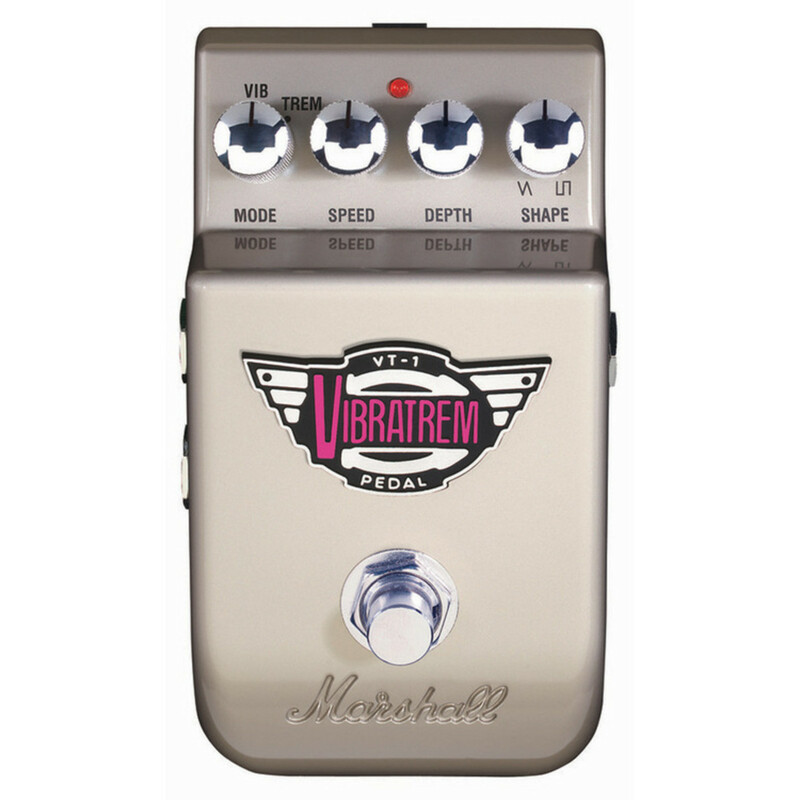 The Vibratrem features a passive bypass for the main signal path to ensure complete tonal integrity and has a quality of tone matched only by its versatility. Due to the technical nature of the Marshall Amplification products advertised on this page it is recommended that you contact us by telephone or by coming into our store to discuss your particular requirements and to arrange a demonstration before buying any of these products.